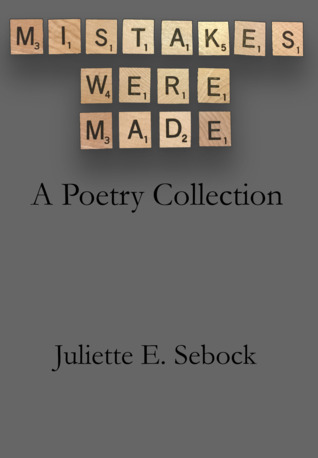 Mistakes Were Made is the debut poetry collection of Juliette Sebock. Written over years of watching the world around her, the poems compiled here examine love, loss, mistakes made, and lessons learned. This chapbook brings together poems about trauma, about love, and the moments in between. It takes a look at the mistakes we make throughout life, how we react to them, and how they affect us going forward. If you’ve ever loved and lost, regretted your choices or held firm to your decisions, Mistakes Were Made is for you.